Before committing to a bunch of extra stitching to help hold the individual 1/4″ strands in place, I thought it might be wise to see if more stitching could wear on the innards of the spring and cause another raft of problems. This is the KISS principle. Keep It Simple Stupid. (“First, do no harm”, etc., etc.) The following test was performed numerous times in the same spot, and no degradation of the 3 strand rope was found to occur. 20100129121508 It seems that the worst that could happen is that the stitching will pop under load, but by then, who cares?. It only serves to keep things under control while the springs are being installed. Besides adding extra stitching to keep the strands in their proper places, I decided to wax the spring cord as it was being laid down. 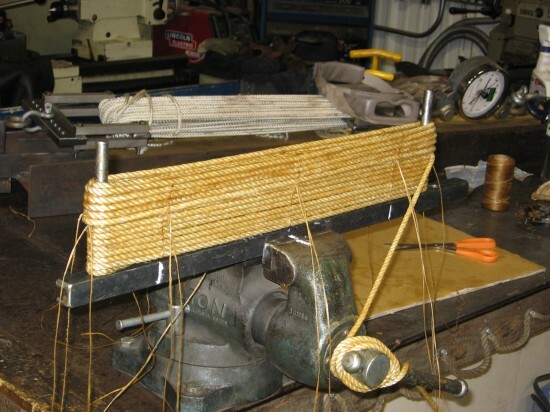 I was careful not to increase the lay of the rope by allowing any extra spiral to build up as it was being wound around the jig. 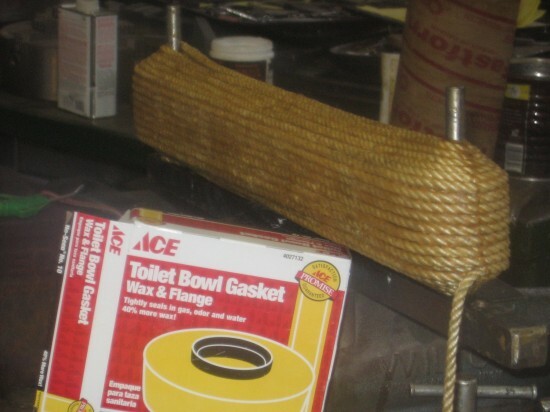 This type of wax has a soft and tacky texture, and penetrated deeply into the nylon rope. I am betting that anything that serves to reduce the internal friction of the rope is going to be a big plus for making catapult springs. Anyway, that’s the theory. Back to my stitchery now. It seems that the Catapult Gods were unamused by my attempt to turn Firefly into her own spring stretcher. Too much load on the forward anchor point caused her beak to open up with an ugly crack. Fortunately it was easily repaired with some souped-up epoxy I happen to have. The pieces of black walnut pulled together nicely and now there is no sign that something went amiss. And to think, just yesterday, I was boasting about how unassailably robust the machine has become after all her upgrades. …..Well… err… yes…, if she is used as a ballista, and not some half-baked torture device. The stretching duties have now been turned over to this specially built rig constructed from a steel I-beam. The new set of 1/4″ , 3 strand springs, seen here, are the same design that yielded 394 fps last year. Unless the Twilight Zone has descended on my portion of the universe, and changed the physical laws governing torsion springs, I can see no reason why we will not be back to that level shortly. Assuming, of course, the CG’s continue with their beneficence. Of double braid and linguine. The good news is that all the mechanical parts of the machine are now standing up to the heavy 3500 pound draw weight with ease. 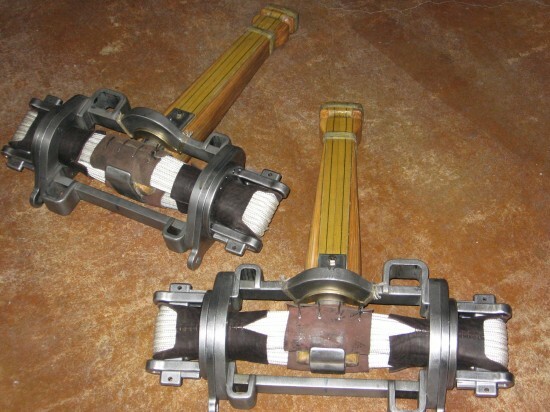 The new bottom struts, visible in the above photo, have given the machine much more stability under load. Similarly, the hardened vernier plates are working perfectly to counter the bending forces attempting to collapse the end caps on the field frames. All in all, I am very pleased with the overall robustness of the machine. Empirical research of this type does leave one feeling a bit like a blind rat bumbling around in a maze. It does, however, yield results that are sometimes unequivocal. Springs made from double braid are bad. Very Bad. Might as well use linguine. Looking like some medieval torture device, Firefly has turned herself into a stretching device for her own torsion springs. 8,000 lbs. of linear stretch is being applied to the new springs. All this preload is held in place by slipping special blocks under the crossbars. I am hoping that this extreme version of Philon’s straight spring maxim, will yield a whole new level of performance. No guts, no glory, etc. Don’t worry Mum, I have started wearing my trusty hard hat. Below we see the twin power plants all charged up and ready for installation. Well, not quite all charged up yet. 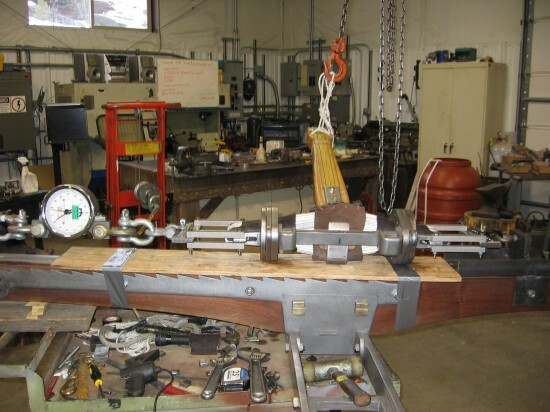 We still have the rotational torque to apply. That will have to be done after these babies are installed on the machine. There seems to be a passing resemblance between our ballista, and this fine old lady from out of the deep. …….. And so, we give our ballista a name. 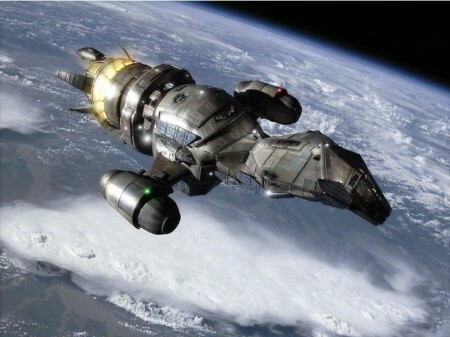 Firefly. Lampyridae, for those that prefer a Latin twist. It doesn’t sound particularly warlike or terrifying, I know. But there you have it. 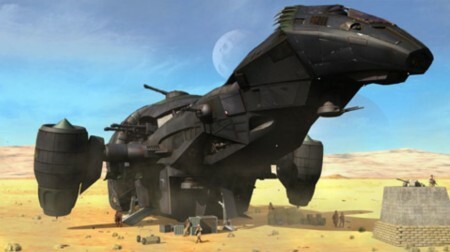 Her highest calling is as a research vessel, intended to put some small illumination on artifacts salvaged from the shadows of a long dead world. Things are moving along at a good clip. There are a few more upgrades that will be completed over the next week. They should increase the reliability of the machine a good deal. With a bit of luck, we will finally be ready for some sustained shooting by next weekend. ……………Yes, I see all those eyes rolling out there. Today, I heat treated some new vernier plates. The new ones are made from 4140 and, at 50 RC, are tempered to be nice and tough . This should be more than enough to counter some of the minor bending we are starting to notice being transmitted through to the mild steel end caps in the field frames. Also, I have decided to add two diagonal bottom struts connecting the bottom of the field frames back to the stock. Maintaining a rigid relationship between the ladder and the stock is going to be important for the next phase of testing. There are times during the tuning procedure when the bundles are being tightened, that it is possible to see the ladder flex a bit. So far, it hasn’t actually become a problem. However, out of an excess of caution, the additional struts seem like a good idea. Like the rest of the machine, they will be secured with wedges that are tapped into place. 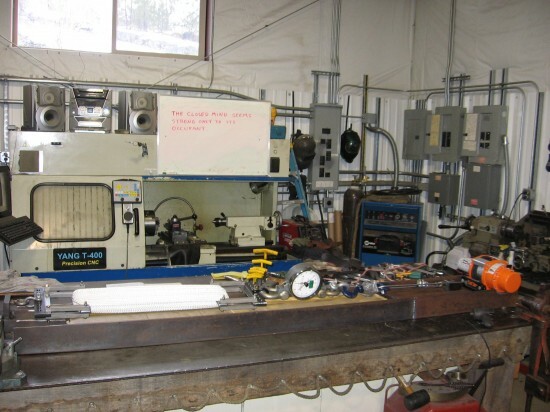 Knock out the wedges, and the whole machine can be disassembled in a couple of minutes. It makes one wonder if ancient catapultiers were required to field strip their machines blindfolded, much like modern soldiers do. With this machine there is no reason such an exercise would not be possible. Once disassembled, it would be a snap for half a dozen strong men to pack this contraption over some pretty rough terrain. No. I am not volunteering for that one. After removing the springs, the cause of the broken strands became obvious. 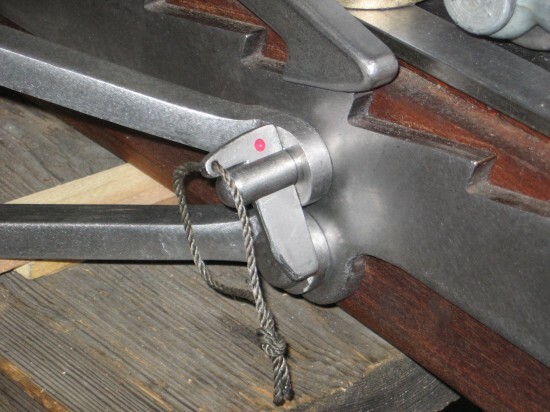 This picture shows one of the four tightening wedges used to perform a linear stretch on the spring. These wedges are driven under the crossbars while the spring is put in traction with a chain hoist. The wedges are clearly subject to the strains coming from the two halves of the torsion spring, and have been bent accordingly. 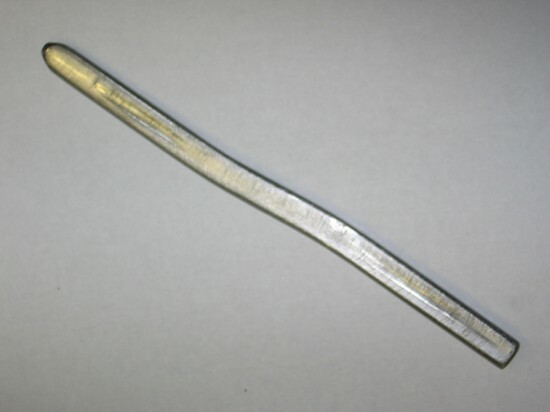 The effect of this bent wedge is to introduce wear and cutting surfaces inside the spring. All of the places where the strands became worn through, lined up with the protruding parts of this bent wedge. Nothing like introducing a razor blade into the heart of your spring, and then getting a case of the grumpies because it breaks down on you. Because of all this, I have decided to do away with the full length steel wedges. The crossbars can be held apart by specially designed blocks that fit in the notches on the washers, and don’t actually go through the spring at all. It is apparent that the notches in the washer should be made longer to maximize this approach to stretching the spring. Any of the original bronze washers that I have seen photos of, seem to have relatively shallow notches in them. However, because our whole purpose here is to maximize the potential latent in the Orsova artifacts, it is important to pursue any viable avenue that may boost performance. The niceties of trying to make our washers match those few archaeological finds that show up elsewhere (no washers were discovered among the Orsova artifacts) is something we can delve into after we have a better idea of how all this linear stretching actually affects performance. Therefore, I intend to convert the current washers to ones that have unusually long notches for the crossbar. These experimental steel washers will eventually be replaced by bronze ones. By then we should have a good idea of how much linear stretching is desirable, and the depth of the notches will no doubt change again. I know all this sounds a bit tedious and picayune, but these are exactly the kind of details that will allow our reconstruction to perf0rm at it’s highest level.